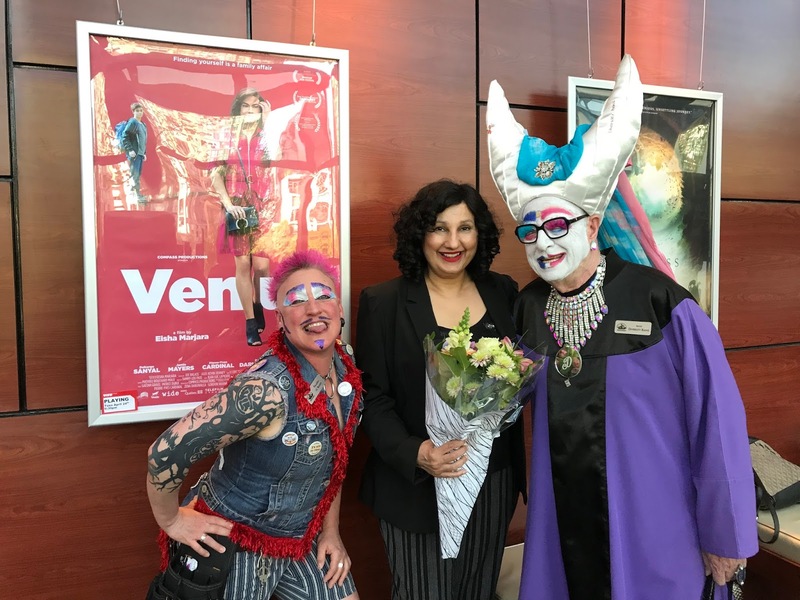 The Sisters were invited to present "Venus" during the Vancouver International Film Festival's Canada Week. 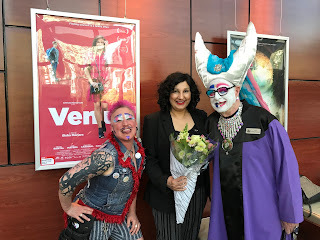 Reverend Mother Diversity Rains and Paladin 'lil Randy joined actress Zena Daruwalla in presenting this film by Eisha Marjara. "When fourteen-year-old Ralph tracks down his biological father, he gets more than he bargained for. Not only is Sid (Debargo Sanyal) of Indian heritage, he is also a she. In other words, his dad is also his mom. Ralph’s reaction? "Cool!" The kid takes to hanging out at Sid’s apartment through the summer. It’s a learning experience for both of them; Sid has only recently come out as transgender and is contemplating the operation. So she has enough on her plate with her own parents (Zena Daruwalla and Gordon Warnecke), and her on-again, off-again boyfriend. Meanwhile Ralph hasn’t plucked up the courage to tell his mother and stepdad what he’s been up to, or more to the point, with whom…"
Venus will make a return appearance and will be showing at the VIFF Vancity Theatre the entire week of May 14- 20, 2018. Get your tickets at https://viff.org/Online/fc9716-venus.